The Ban on Testing Psychoactive Substances on Animals in NZ Will Be Staying! UPDATE: Animals in NZ are still protected from psychoactive substances. Together we sent a clear message to the Government; we will not allow the ban on testing psychoactive substances to be revoked. Over 1500 people took action and sent a message to the Minister of Heath, David Clark after we announced that a review had been released on the Psychoactive Substances Act. This mandatory review conducted by the Ministry of Health found that the Act has failed, and blamed part of that failure on the absence of using animals in safety testing. 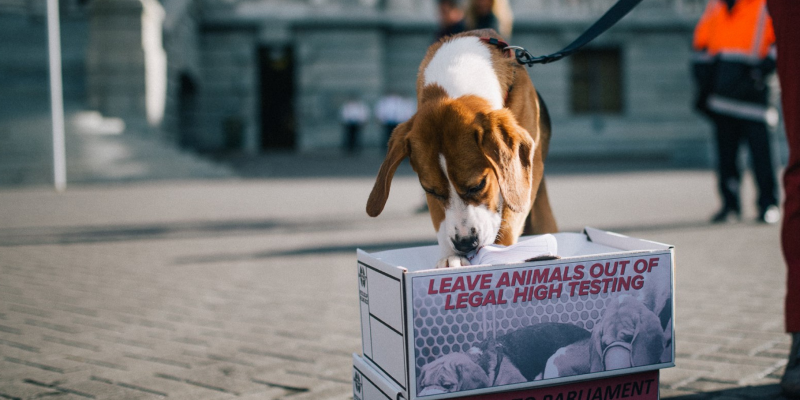 The possibility of removing the ban on testing party pills on animals sent alarm bells through NZAVS headquarters, and we knew we needed to act fast to ensure that NZ Leaders knew that this removal would be met with massive resistance. “The Government currently has no intention of changing the provision regarding animal testing, and I believe it is more likely that alternative test methods will become acceptable in future,” David Clark, Minister of Health. “The Green Party loves animals and will make sure we do not lose the ban on animal testing for psychoactive substances,” Gareth Hughes, Green MP. “NZ First have no plans to seek to overturn the current ban on animal testing psychoactive substances,” Mark Patterson, New Zealand First MP. "I can confirm National continues to oppose the use of animal testing for psychoactive substances," Simeon Brown, National MP. Animals are protected from party pill testing under the current law, and the above statements reassure us that this won’t change any time soon, if ever. We will continue doing what is one of our most important jobs – keeping a close and watchful eye on any legislative changes that might affect animals used in research, testing or teaching. The NZ Government and specifically the Minister of Health, now know how important this issue is. They will now be well aware that any future plans to remove this ban will be met with a fierce campaign that will instantly have the support of many disappointed animal-loving Kiwis. Together we’ve safeguarded animals, and together we've made sure animals won't be subject to cruel and invalid tests — thank you! The Legal Highs Campaign was successful because of the many groups and people who came together to take a stand for animals. The SPCA New Zealand, HUHANZ and SAFE are just a few of the organisations, as well as us, NZAVS, that saw this campaign through to victory in May 2014! 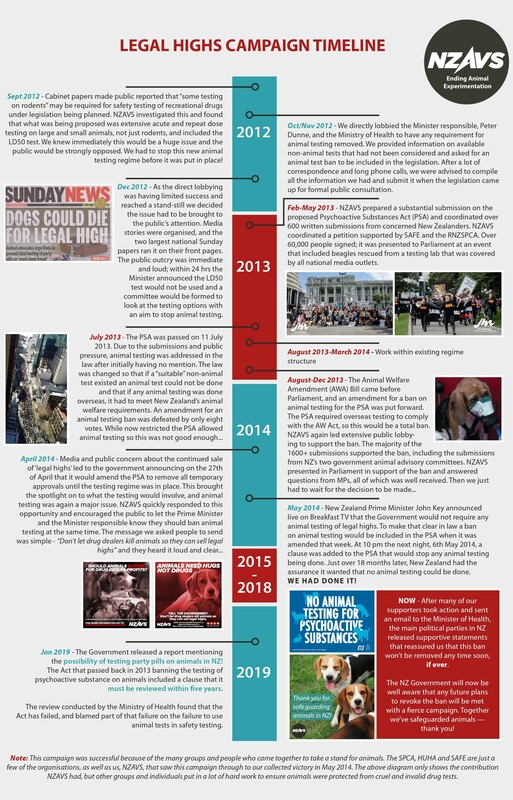 Our timeline below highlights the work that team NZAVS (including our many supporters) put in to ensure animals were protected from cruel and invalid drug tests! You can also view this as a pdf here. 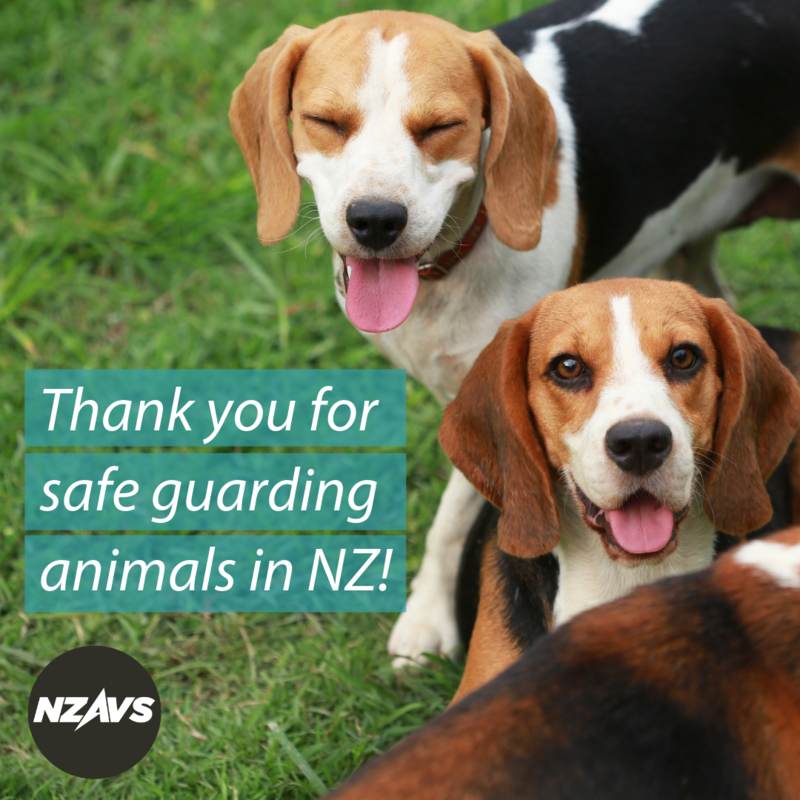 Thank you for taking action for lab animals, including both rats and dogs, across New Zealand! I understand that clicking submit will send this to Jacinda Arderns email. Animals in NZ Are Still Protected from Psychoactive Substances - Positive News! Testing Party Pills On Animals - What Would this Look Like? We summarise the animal tests that were in the Ministry of Health's Proposed Testing Regime back in 2012. The Ban on Testing Psychoactive Substances on Animals - Why Can't the NZ Government Commit? We are still waiting for confirmation from the NZ Government that the ban on testing psychoactive substances on animals will remain firmly in place! Recent deaths caused by synthetic cannabis use has unfortunately resulted in speculation in the media that these deaths would have been prevented through animal experimentation. This is not the case, due to the many differences between animal species. Read more here.